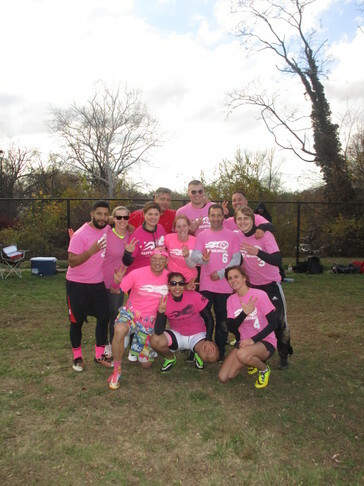 February 17, 2016 Happy Hour Kickball Summer Registration is Now Open! It's that time again, time to start signing up for the Summer season of Happy Hour Kickball! It's our 10th season and we want it to be the biggest and best possible. For that we need you! Games still played in Bethesda every Wednesday Night starting April 27 at Meadowbrook Local Park. Does Happy Hour Kickball provide the most legal fun you can have on a Wednesday night, the answer is yes. So follow the jump for all the details on our 10th season and let's get started. If you already know you want in, contact us here. Registration is available online right now! Click on the Registration tab and follow the prompts to get started. If you would like to start a new team, please let us know so that we can get you set up in the system. Games will be played Wednesday nights in Bethesda at 6:30 and 7:15 pm starting Wednesday, April 29th and running until the end of season playoff day on Saturday, August 1st. Season cost is $53 per person and that covers your t-shirt cost and includes three free parties during the season! During the season we'll have outings to see the Nats, Caps, and DC United. Our Summer Beer OH Lympics, and of course weekly flip cup, survivor flip cup, pong, flong and landing strip. So if you're interested in starting a team or getting placed on one, contact us now! © 2019 Leftfield Entertainment, LLC. Website Design by Digital Studios.